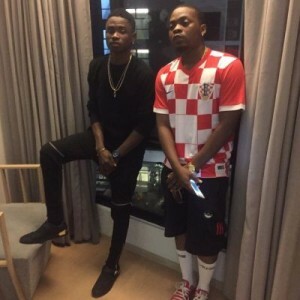 YBNL act, Lil Kesh, who recently granted an interview to Naija FM, has revealed how he met his boss, Olamide and why he (Olamide) decided to act the way he did at the Headies. we were all expecting me to win and we already plan a party for the win, so he came to him as a shocked. Even before Adekunle Gold won the alternative award, he has being talking underground and he couldn’t hold it again that why he voice out. Recall, Lil Kesh lost the Next Rated Award to Mavin artiste, Reekado Banks, a win which brought about the epic Headies drama. The Former Agege Bread Seller , Given A Luxury Apartment In Lagos!